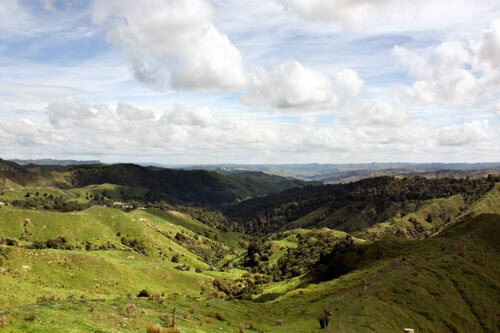 Kaitīeke is a rural farming district north-west of Raurimu. The landscape is a series of hills and valleys. The native bush visible in this photo is a small remnant of the forest that once covered the area.